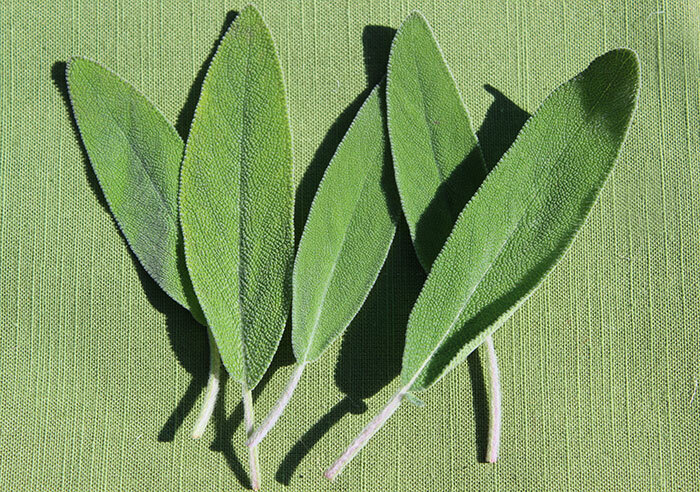 Sage leaves are one of the top kitchen culinary herbs common to most kitchen spice racks around the globe, often found next to other favorites in the same Lamiaceae "mint family", like rosemary, thyme and oregano. The thick dense and fragrant smelling leaves of this powerful plant have been used throughout the ages not only their food flavoring aspects but also for their potent medicinal attributes. The genus name Salvia is derived from the term "salvere" meaning "to be saved or healed." As the old medieval proverb goes: "Why should a man [woman] die whilst sage grows in his [her] garden?" Although Salvia officinalis is the most widely used variety, also referred to as common sage, there are many types of sage, garden grown cultivars as well as wild plant species. In the southern desert-like terrains of California, we have seen the species Salvia leucophylla or wild "purple sage" growing prolifically on coastal mountain hillsides. 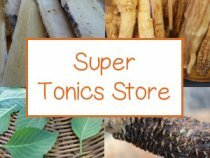 These types, when positively identified, can be harvested in early to late spring and dried for use in recipes, teas, soup broths or for herbal preparations. 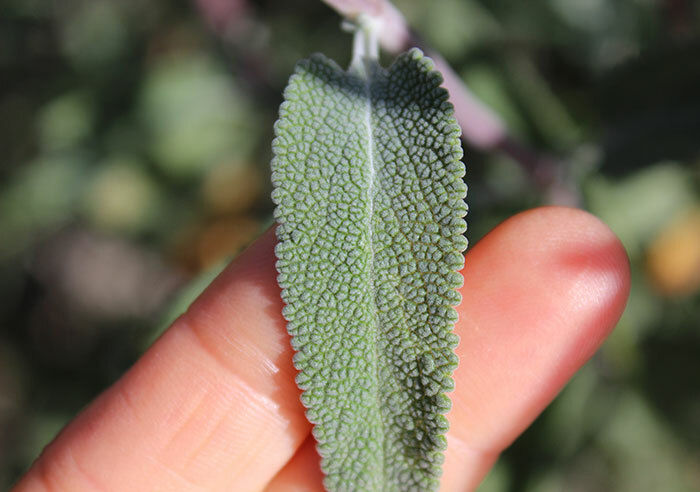 Sage leaves can vary in size and shape, from rounded to oblong, but most all have a coarse texture due to fine hairs called trichomes that cover the top and underside of the leaf. The grey-green leaves upon closer inspection have grooved veins which also create a rough feel when touched, especially when fresh. While sage is renowned for its powerful purifying and disinfecting (anti-bacterial) properties, on this page we will be discussing the sage leaf benefits as an herbal medicinal for cognitive enhancement as well as for its researched support for women in menopausal years. Sage has a well-known reputation in herbal folklore as a plant that can enhance memory and increase alertness. The term "sage" in fact is also used to describe a person who is distinguished for their wisdom, clarity and good judgement. In Culpeper's Complete Herbal, he mentions that "Sage is of excellent use to help the memory, warming and quickening the senses." Likewise, early 16th century English botanist John Gerard (known for his large herbal garden in London) stated that sage "is singularly good for the head and brain, it quickeneth the senses and memory, strengtheneth the sinews, restoreth health to those that have the palsy, and taketh away shakey trembling of the members." From our herbal experience with sage as a tea, it can have a naturally stimulating effect which can heighten mental clarity and increase alertness. At the same time, it can also work as a mild nervine assisting to calm and relax the nervous system without causing fatigue. Sage tea consumed in the morning can therefore provide an energizing yet soothing caffeine-free option. 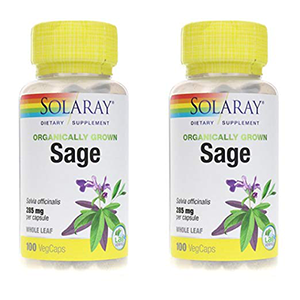 Sage leaves with their wide array of active constituents, have been shown to offer cognitive support particularly for seniors who are more susceptible to age-related cerebral impairment. In a 2017 review summarizing past research, the sage herb from several Salvia species was reported to have active constituents that "may enhance cognitive activity and protect against neurodegenerative disease." 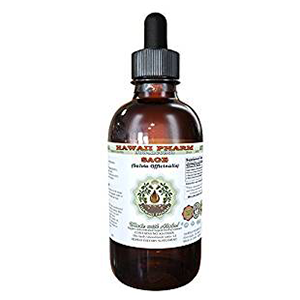 In an earlier study investigating the cognitive effects of taking 60 drops/day of Saliva officinalis extract on adults averaging 72 years of age, outcomes identified "significantly better cognitive functions" compared with those taking a placebo. Even a published study on healthy young adults, Spanish sage (S. lavandulaefolia) taken as an essential oil was also shown to encourage enhanced cognitive performance, mood and improve memory recall speed. Sage is thought to have an influence on the brain via multiple physiological pathways, primarily its actions as an antioxidant, antidepressant, anti-inflammatory in addition to its influence on amyloid-β peptides, cholinergic activity and neurotrophic factors. These include pheolic acids such as caffeic acid, rosmarinic acid (also found in rosemary), salvianolic acids, sagecoumarin and sagerinic acid. 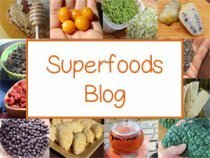 Some of the flavonoids include luteolin, apigenin, hispidulin, kaempferol and quercetin. The following terpenoid substances are also often present like thujone, camphor, cineole, borneol, carnosic acid, ursolic acid and carnosol. 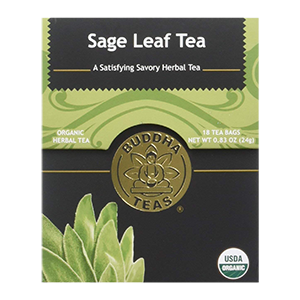 Using sage leaf as a tea or supplement can be positively influential for women during menopausal years. 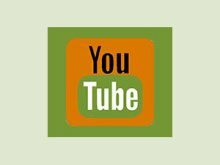 This is a period of physiological adjustment to fluctuating hormones, mostly a decline in estrogen and progesterone as well as corresponding changes in various neurotransmitter functions. 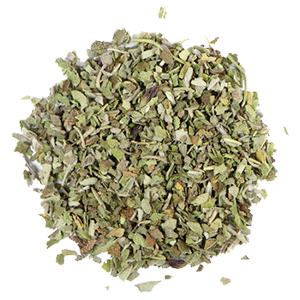 The common sage leaf is a source of estrogenic flavonoids or phytoestrogens. These are natural plant constituents that, depending on dose amount, are known to mimic the functions of endogenous estrogens, specifically estradiol. According to Herbal Healing for Women by Rosemary Gladstar, "Sage is a Yang grounding herb and many women have found it helps relieve hot flashes." While amounts can of course vary depending on individual scenarios, she generally recommends several cups of sage tea daily for such purposes. In one 2017 study, sage was reported to be among a list of medicinal plants that are shown to be helpful for acute menopausal syndrome and specifically effective as reducing hot flashes and positively influencing the nervous system. Likewise, in earlier research testing 71 women that had at least 5 hot flashes a day, a tablet of fresh sage leaves was given once-daily for a 2 month period. Results indicated that daily hot flashes "decreased significantly each week from week 1 to 8" and that sage "demonstrated clinical value" for such purposes. In a 2016 published double-blind randomized clinical trial, 100 postmenopausal women were given three sage tablets (100mg each) every day for an 8 week period. Results demonstrated that sage tablets "significantly reduced the frequency, severity, and duration of hot flashes and night sweats." Sage can also be helpful for symptoms of anxiety, moodiness and menopause-related cognitive impairment that often accompanies hormonal fluctuations. The tea is also quite fragrant offering aromatherapeudic properties that are also calming to the senses. Depending on one's body type, menopause has been known to cause weight gain for some women. Sage herb can offer some usefulness as a mild digestive aid and metabolism booster, beneficial for supporting regular bowel functions. Although it is important to also adjust your lifestyle and diet accordingly, sage can be one of those herbs you may wish to add periodically to your herbal arsenal during menopausal years, either consumed as a tea, added to soup broths, taken as a liquid extract, capsule or tablet. 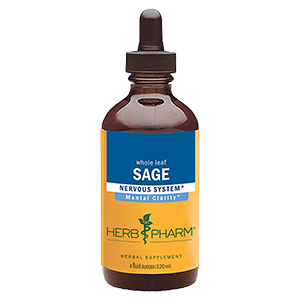 Sage is a common ingredient in natural herbal-based supplements specifically for menopausal symptoms. Sage is not an herb that is traditionally consumed in its raw state but is either cooked into foods or infused into liquids (like hot water, vinegar or sauces). The very best type of sage to use for highest effectiveness are fresh leaves. 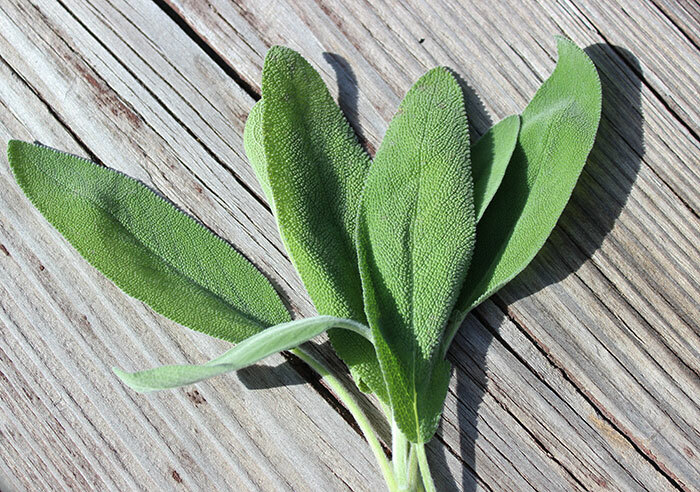 Fresh sage is often available in many produce sections and the sage plant is also relatively easy to grow as a garden variety from our experience. Always, of course, be on the lookout for wild sage if you happen to live in an environment conducive to its growth. Note: Sage is an herb that you don't want to use on a regular basis. If you're using it therapeutically, it is a good idea to take a break after a week of intake. Large sage harvests can be dried and stored for future use. It is best to keep herbs like sage leaves in airtight containers in a cool dark location to preserve their volatile compounds. Liquid extracts can also be beneficial ways to consume the active constituents. Take heed, however, not to over-consume these concentrated forms. Taking essential oil’s like sage oil internally are not recommended unless you are working with an experienced health practitioner. 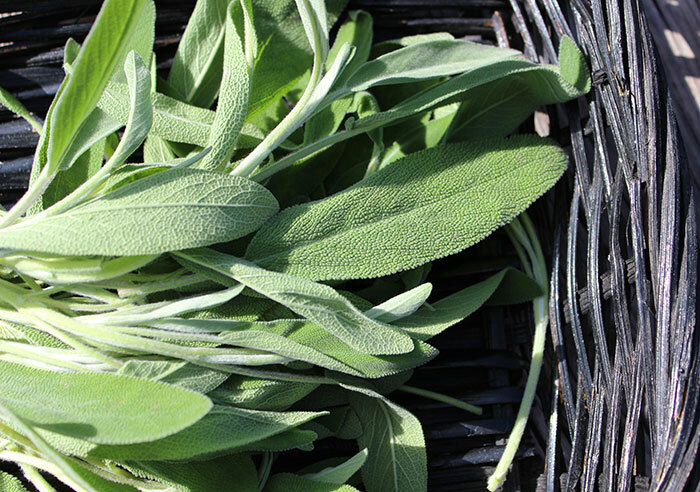 Dried or powdered sage herb is also readily available in stores or from online sources. Dried sage of course makes a great seasoning for soups and stews. 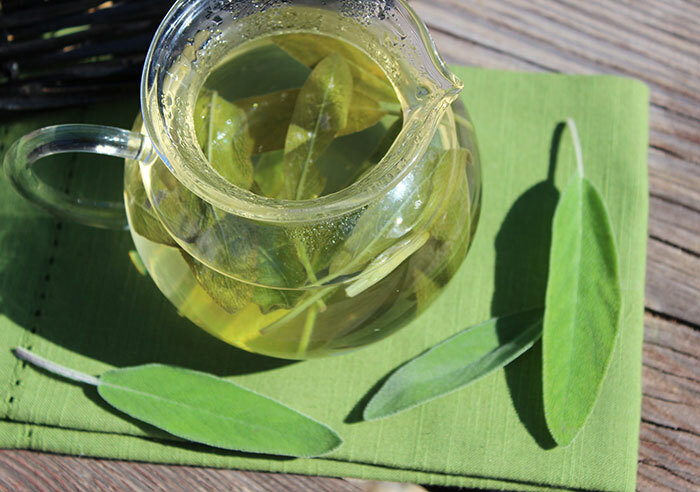 For a cup of sage leaf tea, simply infuse a tablespoon of dried leaf and allow it to steep with lid for about 20 minutes, strain and drink. 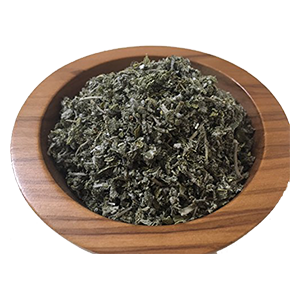 While we personally love the taste of straight sage tea without other herbs or even any sweetener, it can have a slightly bitter quality. 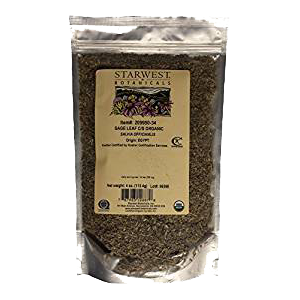 This taste can be easily camouflaged by using it with other herbs like peppermint or fennel. 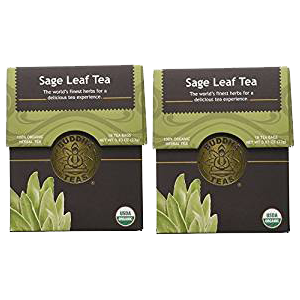 Prepackaged sage tea bags are also available for convenience as well as sage capsules or tablets for use as an herbal supplement. 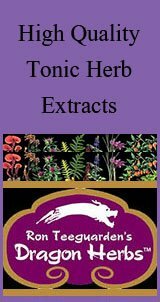 It is important not to overconsume sage due to its high amount of essential oils like thujone. Seek the advice of a qualified healthcare practitioner if pregnant, nursing (known to reduce milk flow), taking prescribed medications or if you have a serious medical condition.